You researched the sales, built a shopping list and set your budget. As you pass through those sliding doors your swagger is on high; you’re in control of this shopping endeavor – at least you think you are. But buyer beware. Stores (including those online) are skillfully designed to coax you into buying more. The art of retail traces back thousands of years, and over that time shopkeepers have designed, tested, learned and then retested countless ways to get you to spend more money and boost their profits. 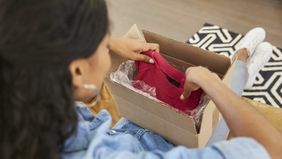 Here are some of the classic tricks stores use to grease the wheels of commerce, as well and some tips to resist their charms. Shopping carts are there to make it easier to lug stuff around as you shop. But convenience is a secondary benefit of this nearly 100-year-old invention. Trace the shopping cart back to its origin, and you’ll find it’s all about encouraging people to spend more money. In fact, you could argue that no invention so deeply influenced our consumption habits than that steel parking lot drifter with a bum wheel. After commercial refrigeration proliferated in the 1930s, the average consumer could store more food for longer periods of time in their homes. That meant they could buy more on each trip to the store. The problem was grocery shoppers still ambled through the aisles with wire baskets that grew too heavy to carry. Grocery magnate Sylvan Goldman saw this as a real bottleneck to profits, because once customers were weighed down they stopped shopping. Then, one day in his office, he looked at a folding chair and got an idea. He designed a contraption on wheels that could collapse like that folding chair and nest inside another of its kind – he had invented the first shopping cart. Customers started purchasing more from his grocery stores, and other store owners lined up to buy his famous carts. 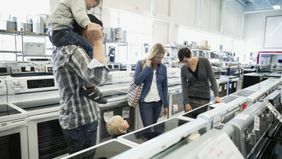 To this date, shopping carts remain a key part of a retailer’s success, as studies have shown that people tend to spend more the larger their shopping cart is. It’s no surprise, then, that cart sizes at major retailers across the board have just about doubled over the past two decades. 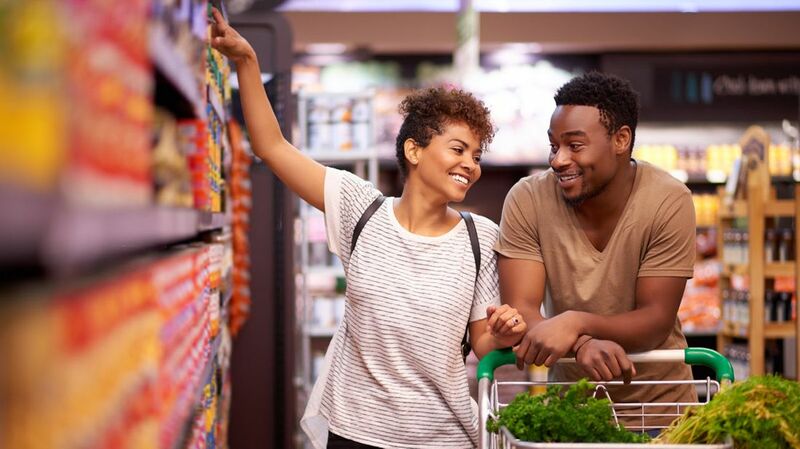 Tip: While the cart made shopping more convenient, beware of its allure. If you’re just running in for a few things, you may want to skip the cart and hunt for those elusive baskets. Even better, make a list and if it’s short, run into the store empty handed. Those bins of dirt-cheap Blu-Rays, sunglasses or shirts at the front of the store serve a dual purpose: Get old inventory out of the door and loosen your grip on that wallet. These so-called wallet-openers, like a Pavlovian bell, get you in a shopping mood. They sort of “break the seal” on your shopping impulse and make it a little easier for you to justify larger buys deeper in the store. Tip: You’ll find that most of these tips include creating a list before shopping. In this case, your list will help you price shop before you head out the door. Some stores will advertise deep discounts on some items on your list while other items are a little pricier. You’ll want to see which location offers you the best savings on your entire list, not just one or two staple items. The list will also make it easy for you to stroll past those bins of Blu-Rays. Yes, that copy of “Half Past Dead” starring Steven Seagal is just $1, but do you really need to add this to your corpus of fine films? You’re probably familiar with one of the most ingenious marketing gimmicks of our time: the 99-cent trick. By pricing something one cent lower than the nearest dollar it makes the price you see feel less like the price you pay. For example, $999.99 just feels far cheaper than $1,000. But retailers have a few more ways to change your perception of the price. When you’re shopping for higher-priced goods, notice that retailers often drop the comma out of the price. It’s not $1,499, it’s $1499. And when they quote the price they say, “fourteen ninety-nine” not “one thousand four hundred ninety-nine”. Simply using fewer syllables, studies show, can reduce the average consumer’s sticker shock. Ever look at a menu and notice the prices are just numbers? There’s nothing to denote which currency that salmon filet is priced at, and that’s by design. Omitting the dollar sign from the price makes it easier for customers stomach spending more on a fancy meal. Tip: When it comes to making a big purchase, do your homework. There are plenty of resources to help you hone in on a fair price for a big-ticket item. Armed with this knowledge, you’ll know when you’re getting a good deal – no matter where they hide that dollar sign. “Hurry while this deal lasts!” “Limit one per customer.” “A lady was in here this morning who said she wanted to buy the last one.” These are all subtle ways retailers create the illusion of scarcity, or if you don’t act quickly your chance to own this wonderful product will pass. How many times have you raced to book a flight because the website tells you there are only two seats left at the price you see? We all have a little FOMO, and retailers know how to tickle that emotion in us. Tip: You know how everyone goes nuts for Black Friday sales? Sometimes those same items, or even better items, are at a deeper discount in December. What’s more, many Black Friday items were on sale for the exact same price last year. Why are we saying this? It’s just a friendly reminder that once-in-a-lifetime sales will probably come around several times a year. Don’t worry about missing a deep discount, because you’ll probably get another chance. HIGH PRICE, LOW PRICE, BEST PRICE? If a company wants a product to sell better, they might wedge it between two other products: one far more expensive and another that’s far cheaper. In an experiment, customers were offered a soda that cost $2.50 or $1.80. Most people purchased the higher priced drink due to its perceived higher quality. But when a soda for $1.10 was introduced, the middle-priced soda was the most popular option. Customers perceived the middle-priced product as the best of both worlds: higher quality at a reasonable price. The same thing works with two products. Retailers will display a high-priced product next to the very cheapest version of that product, say a television. The lack of features and poor reviews of the cheap television make that more expensive television appear to be a far better use of your money. The idea here is that retailers are attempting to limit your price comparison ability through framing. Tip: This is another case where you’ll want to do your price comparing before you start shopping. Get an objective, fair price from a third party and you’ll know when you’re truly getting a deal. You aren’t immune from these tactics if you shop online, either. How about, “Free shipping with orders over $35” or if your order exceeds a certain weight threshold. That’s a not-so-subtle hint to spend some more, along with the “one-click” purchase option. Online stores, of course, track your search history and shopping cart choices and serve up recommendations based on your browsing behavior. You’ll also see “most popular” designations for products or a timer on sales. Tip: Browsing through stuff has never been easier. Clicking through deals and carefully curated product recommendations can almost be hypnotizing…especially if you’re prone to “sipping and clicking.” According to a survey from the Archstone Recovery Center, Americans collectively spend roughly $30 billion while drunk each year (gin drinkers spent the most). The best work around here is to shop online with a purpose (that list again!). And, if you are prone to impulse online shopping, keep that Amazon account on lockdown if you’re going to throw a few back! There are countless other retail tricks in the book, but we hope bringing a few of these more common ones to your attention will arm and protect your inner frugal shopper.